I just wanted to say a big Thank You to your team. Thanks again for everything guys! We knew from the start that you were the right choice for us, and it’s been nothing but a pleasure having you take care of Lovely Laura for us! Price aside; we’re happy that it’s going to another young couple, that seems to be as in love with it, as we were. "Pano, Andrew and the team were exceptional to work with, there communication was fantastic throughout the whole process so we always knew what was going on. They obtained us a sale price well exceeding our expectations and we highly recommend there services to anyone wanting to sell." Thanks again for your assistance with this sale. Your professional advice and patience throughout has been very much appreciated. 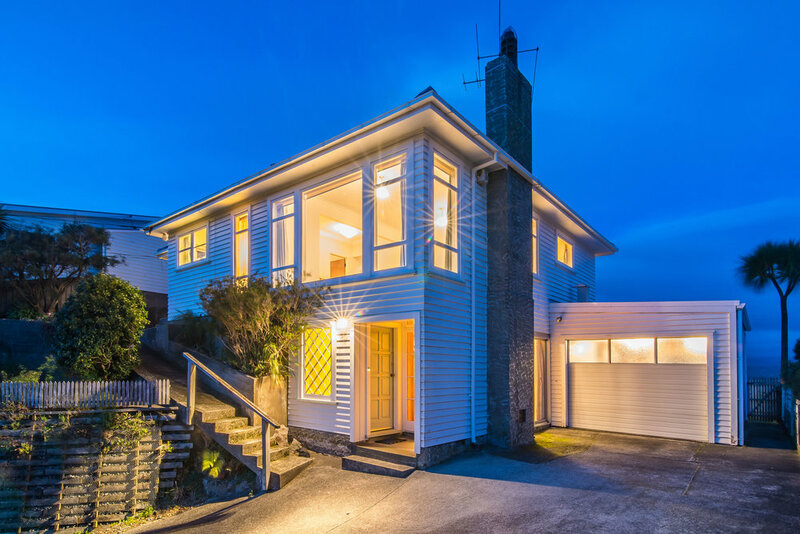 "We cannot speak highly enough of Pano and Andrew"
"We recently sold our house in Karaka Bays, using Pano and Andrew to handle the process. They set out a sale and marketing plan that we initially thought was pretty ambitious and we also set them a very tight deadline to get the house on the market. We had talked with Pano and Andrew a month or two earlier so knew what their plans were, we contacted them on a Thursday evening and they had us on the market the following Monday afternoon, with photography done and on both the major web sites. We were very pleased with the guys efforts it seemed to us that one or the other was working on our sale most of the time over the two and a half week campaign. At the end of the tender period we were presented with eight tenders with three very good ones and one reaching our happy place. We cannot speak highly enough of Pano and Andrew and would have been very happy with their efforts had we not reached our targets, we have and will continue to recommend them to anyone looking to sell." "This note is just to say a big ‘thank you’ for selling our investment property last week. We very much appreciated all your hard work and the Leaders team to get us tenders. Your feed back to us through-out the tender process was very professional and very much appreciated. It is always hard when as a vendor you are not living in the house, to gage what is happening! Lastly, but just as important, we really appreciated, as did the tenants, how you respected and accommodated their needs and privacy! We will be in touch next year when we sell our other properties." "Exceed their promises and expectations!" "It's rare and worth acclaims when a person or business not only lives up to, but exceeds their promises and expectations. In the case of our sale of 14A Darlington Rd, Pano and Andrew fulfilled and surpassed every promise, from their help planning and advising before the sale, the care, assistance, and communication during the sale, and last but not least in far surpassing expectation on the final sale. Not only were they professional, but they were incredibly friendly and accommodating, a lot like a mate or close neighbor guiding you through the sale of your home. We couldn't be happier with the entire experience!"